ive mosques in the city were attacked in total last night. They are on Albert Road, Birchfield Road, Slade Road, the Broadway and Witton Road in the city. A concerned parent told Sky News that he no longer 'felt safe taking his five year old to prayers'. 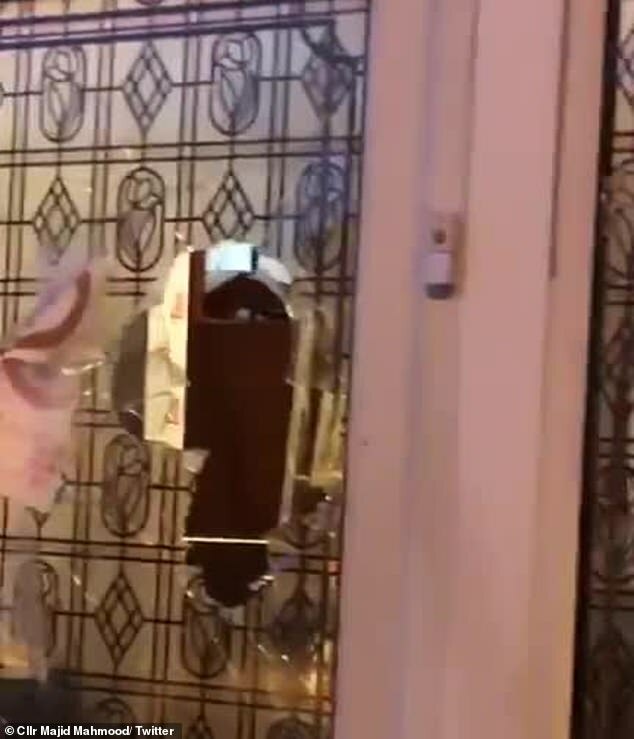 The attack at the Witton Road Islamic Centre in Witton, saw seven windows and two doors smashed up. 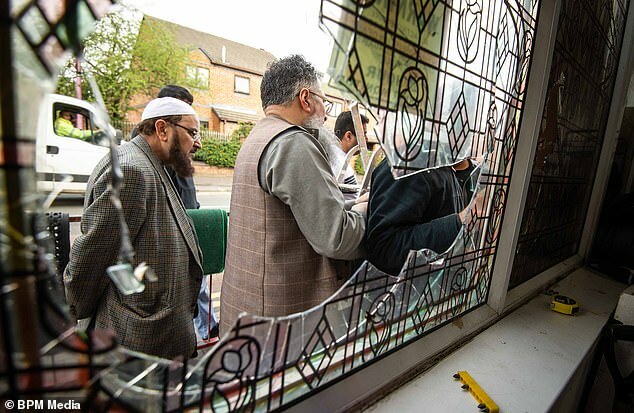 The mosque's imam says that the attack took place between 1.30am and 2am with West Midlands Police saying they were alerted to the other attacks throughout the night. 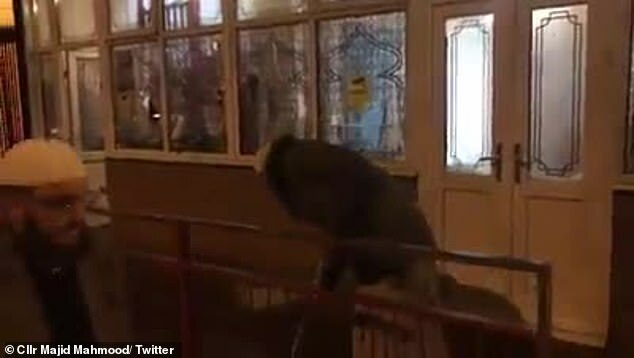 Police were called to the mosque on Birchfield Road at 2.32am before realising that the attack had happened earlier. They then began patrols in areas with mosques and came across the other damaged buildings. 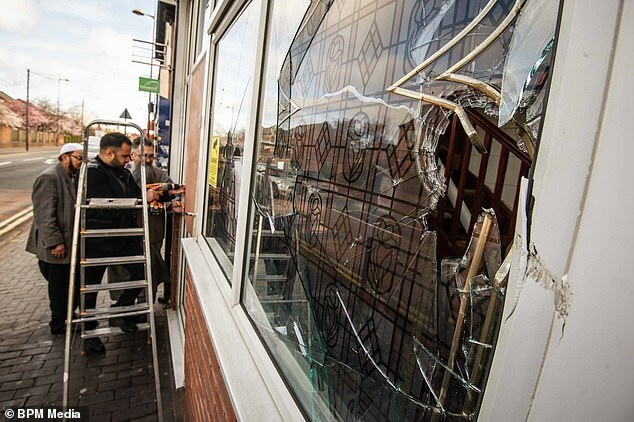 Labour's deputy leader Tom Watson tweeted: 'I'm deeply saddened and disturbed by the attacks that have taken place on mosques across Birmingham in the early hours of this morning. 'Mosques are places of worship where people should feel safe and I'm appalled that they've been targeted in this way. 'I stand in complete solidarity with the British Muslim community against the growing tide of Islamophobia we are facing in this country. The Birmingham Council of Mosques said it a statement: 'As far as we can tell the Masajids were based around Handsworth/Aston and Witton. 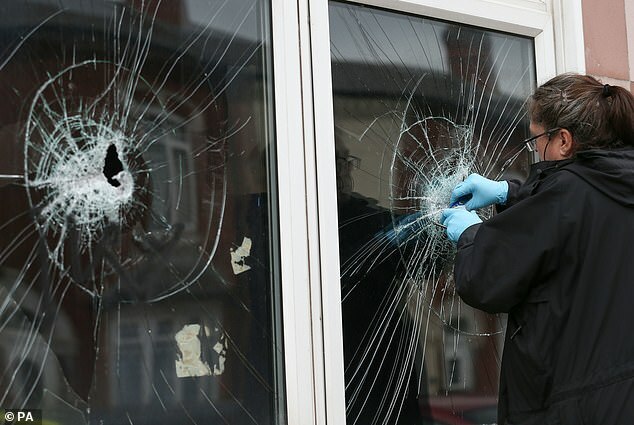 avid Iqbal, a spokesman for Witton Islamic Centre said: 'We've had a white intruder strike in the middle of the night. He has arrived with a sledgehammer and smashed one window. The force of the swing has actually meant he had lost his grip and the sledgehammer ended up in the middle of the mosque. 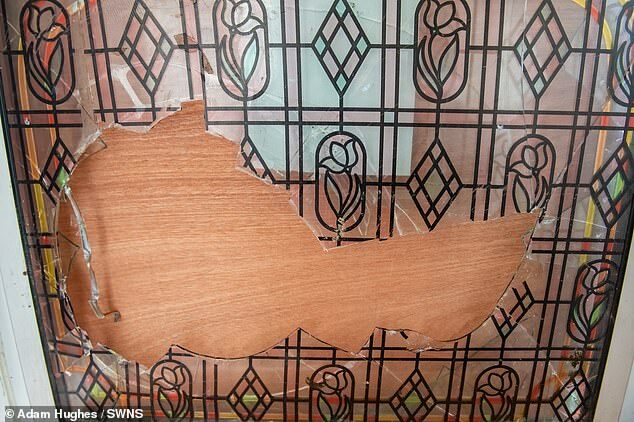 'Incredibly, he has then gone away for half and hour and come back with another hammer to damage several more windows. There's about five or six windows that have been put through. 'In that half and hour, other mosques in a two mile radius or so have been attacked as well. So I don't know if he was working in a team and there were several of them. 'Whatever the case, it is just a minority of idiots that do not reflect the values of this city or this community. 'We have boarded up the mosque but it remains open today for worshippers. I'm yet to speak to insurers about the cost of the damage. Worshipper Rashid Mohammed, 33, a father-of-three, said: 'I was afraid something like this might happen after New Zealand. It was only a matter of time. 'I won't lie, I've been looking over my shoulder since Christchurch, even to the point where I make sure I'm by an emergency exit when I pray in case anything happens.